Scotland's digital media company has launched its video on demand service for Android devices. 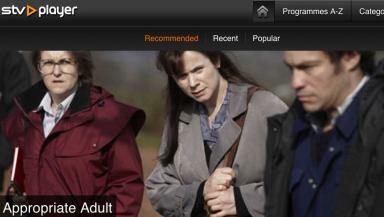 STV has launched its video on demand service STV Player for Android devices. The new service allows Android tablet and mobile devices wireless access to video catch-up for popular STV network programmes such as Coronation Street, Emmerdale and The X Factor, as well as the channel’s home-grown productions, for up to 30 days after broadcast. The service, which is free to use, allows users to search for programmes, access A - Z and category listings and browse recommended, recent and popular STV programmes. STV Player will also be available on iPhone and iPad later this year. Alistair Brown, Chief Technology and Platforms Officer at STV, said: “Today's launch is part of our ongoing commitment to make STV's rich content available on a range of platforms for users to access anytime, anywhere. “We recently launched an STV News app for Android and our STV News iPhone app has been a huge success since its launch just over a year ago. Together, our apps have now been downloaded over 114,000 times. Accessing the STV Player on Android requires Android 2.2 with Flash 10.1 on a device capable of streaming video, and users must be within the STV Licence area. For further information about STV Player, please see the FAQs section at stv.tv/player or contact STV on videohelp@stv.tv.